Rediff.com » Getahead » How not to be a mountain monkey! How not to be a mountain monkey! Management guru Roopa Unnikrishnan's advice on how to learn to be the good honest outsider. Last year, I wrote a piece on the Transformative Role Of The Honest Outsider -- and one of the examples I cited was that of Dr Bennet Omalu, a brilliant forensic pathologist who first identified the traumatic brain condition that is commonplace among American football players, CTE. He was reviled and mocked, but prevailed. His story is now being told in the upcoming movie, Concussion, and he's played by Will Smith. I can't wait to see the dramatic rendition of this remarkable human, who persevered in telling the truth, for the well being of the players at large. I was reminded of that post this morning. 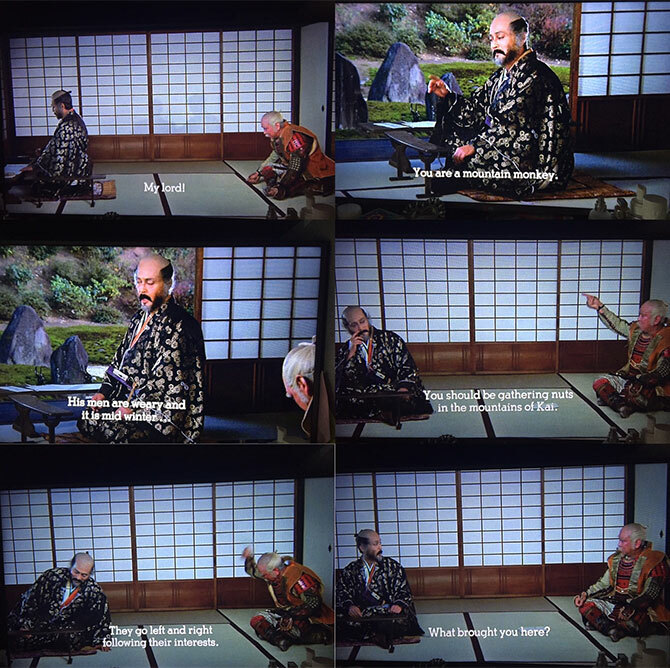 I almost fell off the elliptical machine in the gym -- I was watching Akira Kurosawa's Kagemusha and was struck by the scene where General Yamagata goes on a tirade at his liege, the powerful warlord Lord Shingen Takeda. Here was a general who truly respected his master -- who comes into the abode and takes a deep bow. However, when he hears Takeda go off on a tangential rant about another group that left the battlefield out of fatigue, he gets truly riled up. "How old are you, sire? 53, as I remember. But here you are, acting like a 5 year old. People gather and disperse, following their interests. That is not surprising. But then I find you like this! with such narrow min, you must not dream of rulership. Go back to your own domain. You are a mountain monkey. You should be gathering nuts in the mountains of Kai. Or you can remember what we are trying to do here." The startled warlord Takeda first grimaces, grins and finally bows down to the General's heart-felt rant. Here is his advisor, cutting through the nonsense to remind him what he is trying to do. When discussing the honest outsider, I mentioned that there were some best practices for being a good honest outsider, and also for being the insider who hears and uses the insights that the outsider brings to the table. Be true to the vision and ultimate goal -- make sure your intent is true. Don't be afraid to speak your mind -- while I haven't ever used the 'mountain monkey' analogy, I've often found myself using the 'rather than this, be that' exhortation. Be aware of context and space -- if you were to watch the movie on Netflix, you'll see how General Yamagata comes in and is clearly deferential, then lets rip when he hears Warlord Takeda's shortsighted complaints, goes into his rant... and then resets as soon as the warlord smiles and gets back to the true business at hand. All this occurs in a closed room. You know that this particular conversation would never have occurred in the presence of any other person. This is about two people who can be extremely candid with each other. Use your emotion well. My own Vedanta guru would say, 'Anger should be like a handkerchief. Take it out of your pocket, use it, and then return it to your pocket.' As soon as Takeda shows he's listening, you see Yamagata relax and get back to talking in a reasonable voice. It's almost like the rant never happened. A laser-precise cut! If you're a leader, reflect on those you have around you who could (for the right reason) call you a mountain monkey. Then take them out to a meal and thank them!